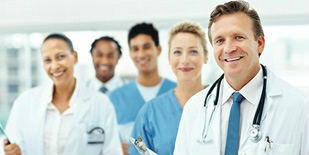 Rashmi Gulati, MD, provides innovative, individualized health care that nurtures mind, body, and spirit. Since 2004 she has been the medical director at Patients Medical, where she delivers comprehensive personalized health care, treating each patient as a respected, unique individual. Through their integrative health care center in the heart of Manhattan, Dr. Gulati and her colleagues have become premier care providers serving patients locally and throughout the world. 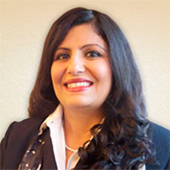 While Dr. Gulati is a dedicated medical director in the midst of completing her Master’s in Medical Management, she is first and foremost a practicing physician committed to forging partnerships with her patients that focus on optimal, long-term health through education, empowerment, and personal responsibility. 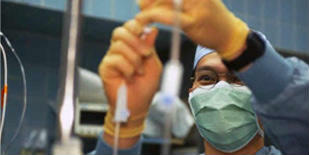 In integrative medicine was gained during her childhood. She knew as young as three years of age that she wanted to be the “one in the white coat,” to give people happiness. As a child, her family physician, Uncle Doc, was a homeopathic doctor who gave her home remedies, including herbs, when she was sick. Within a day of taking the remedies, she was happy, healthy, and eating ice cream, her favorite food as a child. Dr. Gulati firmly believes holistic healthcare offers patients the most favorable outcomes. She is passionate and committed to sharing this knowledge with her patients … and helping them to achieve happiness too! For Dr. Rashmi Gulati, integrative medicine is warm, inclusive, compassionate, patient care. She puts people at ease by taking the time to learn who they really are, while striving for an intelligent balance between cutting-edge methodology and time-honored, traditional medical practices. Dr. Gulati sees mainstream medicine as a highly evolved matrix for acute crisis intervention, but preventive healthcare (in contrast to sick care) as the true avenue to wellness, reached by creating health daily throughout one’s lifetime. She believes the body’s default setting favors health, and takes pride in helping patients postpone or even prevent the onset of chronic degenerative, age-related illnesses, inspiring them to foster lifestyle habits that allow one to age with grace and dignity. For most of our lives, greater wellness in body, mind, and spirit lies within our reach, regardless of prior health history or genetic blueprint.